All wars are based on lies. Claims about Syrian forces using chemical weapons are false. They're malicious. They're bald-faced lies. They're repeated anyway. John Kerry wrongfully accused Syria of using chemical weapons. It's "undeniable," he claimed. It's "a moral obscenity." He'll provide evidence, he said. He has none. It's invented. Don't expect him to explain. "There is no doubt who is responsible for this heinous use of chemical weapons, the Syrian regime." "Chemical weapons have been used. Everyone acknowledges their use." "No one doubts that innocent men, women and children have been the victims of chemical weapons attacks in Syria." "We know the Syrian regime is the only ones who have the weapons." "They've used chemical weapons multiple times in the past, they have the means to deliver those weapons, and they're determined to wipe out the places attacked by the chemical weapons." Assad "must be held accountable." No evidence suggests Syrian forces used chemical weapons any time throughout months of conflict. Plenty points fingers the right way. Insurgents used them multiple times. They've been caught red-handed. They're responsible for last Wednesday's Ghouta incident. Don't expect Obama officials to explain. Doing it compromises their regime change plans. They're longstanding. They haven't changed. August 28 marks the 50th anniversary of Martin Luther King's "I have a Dream" speech. It's getting widespread media coverage. His April 4, 1967 "Beyond Vietnam: A Time to Break Silence" address is ignored. It was delivered one year to the day before his state-sponsored assassination. He called America "the greatest purveyor of violence in the world today." It's "on the wrong side of a world revolution," he said. "We still have a choice today: nonviolent coexistence, or violent co-annihilation." "We must move past indecision to action. If we do not act, we shall surely be dragged down the long, dark and shameful corridors of time reserved for those who possess power without compassion, might without morality, and strength without sight." Silence is "betrayal." He called war in Vietnam "an enemy of the poor." "(I)t should be incandescently clear that no one who has any concern for the integrity and life (in) America today can ignore the present war. If America's soul becomes totally poisoned, part of the autopsy must read Vietnam." "This madness must cease....We must stop now....We must continue to raise our voices if our nation persists in its perverse ways in Vietnam." He called for a "revolution of values, (including) declaring eternal hostility to poverty, racism, and militarism." "Once to every man and nation Comes the moment to decide, In the strife of truth and falsehood, For the good or evil side...."
That time is now, said King. His dream's still unfulfilled 46 years later. Things are worse now than ever. It bears repeating what previous articles stressed. We're living through the most perilous time in world history. America bears full responsibility. King would be appalled. He'd be vocal. He'd denounce plans for more war. "(N)o one who has any concern for the integrity and life of America" can support militarism and violence, he said. "God didn't call America to" wage war. We're "criminals," said King. "We've committed more war crimes almost than any nation in the world, and I'm going to continue to say it." "Our only hope (depends on) declaring eternal hostility to poverty, racism, and militarism." He condemned America as the world's most villainous nation. It's agenda is diabolical. It's on the cusp of again proving it. Washington and France said "they are in a position for a strike, while the (Syrian government) vowed to use all possible measures to repel it." At the same time, a "growing chorus of Republican and Democratic lawmakers (demand) Obama seek congressional authorization for any strikes against the Assad regime." Charles Heyman's a former British officer. He edits The Armed Forces of the UK. He said attacking Syria without Security Council authorization greatly complicates matters. "It's clear the governments want some form of military operation, but if the Security Council doesn't recommend it, then the consensus is that it's plainly illegal under international law," he said. "The only legal way to go to war is in self-defense and that claim is difficult to make." a "massive takedown of Syrian air defenses" before targeting artillery and armor. He called successfully accomplishing all three phases "key to long-term success." Italian Foreign Minister Emma Bonino said Rome won't back military action without SC authorization. 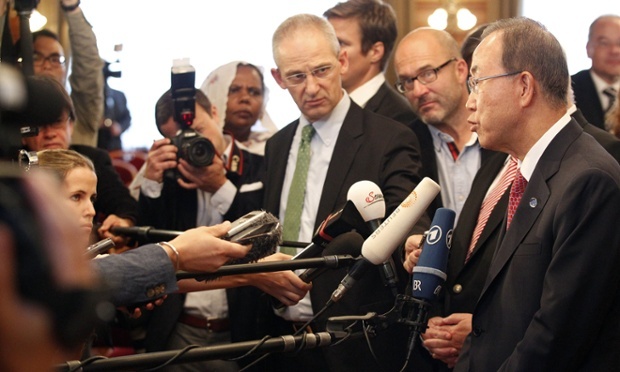 Germany's Foreign Minister Guido Westerwelle said Berlin supports taking action. "The council holds the Syrian regime totally responsible for this heinous crime and calls for all involved in the despicable crime to be given a fair international trial like other war criminals." On the other, The New York Times said it opposes a retaliatory strike. Members are deeply divided. "The vast majority of Arabs are emotionally opposed to any Western military action in the region no matter how humanitarian the cause," said The Times. "In the region, only Turkey has pledged to support intervention." It "urges the international community represented by the UN Security Council to take up its responsibilities towards the tragedies and terrible massacres committed by the (Syrian) regime against its people using arms that include internationally banned chemical weapons." A weekly cabinet meeting warned against "lack of a clear and firm decision that puts an end to these heinous massacres." Washington's "building a rapid coalition consisting of the United Kingdom, France and several Arab states." "If action is taken, it probably won't be pursued through the UN or NATO." "These aren't the only ways to undertake such action, and any response would be conducted pursuant to the law." False! Only Security Council members can authorize military action. Only Congress can declare war. Constitutional law prohibits presidents from doing it unilaterally. It doesn't stop them. December 8, 1941 was the last time Congress declared war. It did so on Japan. Other wars thereafter were illegal. Truman, Johnson, Nixon, Reagan, GHW Bush, Clinton, GW Bush and Obama acted extrajudicially. Obama's readying to do it again. He's a war criminal multiple times over. He remains unaccountable. He plans more war based on lies. He's ravaging one country after another. He wants Iran targeted and destroyed. He's incorrigible. He's lawless. He's out-of-control. Impeaching him is a national imperative. He threatens to embroil the entire region. He menaces humanity. He risks WW III. UN inspectors were scheduled to remain until Sunday. According to spokeswoman Alessandra Vellucci, more time may be needed. "Suggestions that there's any doubt about who's responsible for this are as preposterous as a suggestion that the attack did not occur." "We have established with a high degree of confidence that the Syria regime has used chemical weapons already in this conflict." "We have made clear that it is our firm assessment that the Syrian regime has maintained control of the stockpile of chemical weapons in Syria throughout this conflict." "It is also the case that the Syrian regime has the rocket capacity to deliver the chemical weapons as they were delivered with repugnant results on August 21st outside of Damascus." He added that response options are being considered. Other reports said tactics already were chosen. Obama signed off on them. Cruise missile attacks may begin as early as Thursday. They'll last around two or three days. Sites are chosen. They include command and control and other military related targets. British Prime Minister David Cameron recalled parliament. The world can't "stand idly by," he said. He called military action "legal, proportionate and specific." He lied saying so. He "made his case for military intervention against a backdrop of widespread public skepticism about the use of British military force in yet another foreign conflict, in the wake of those in Iraq, Afghanistan and Libya." "What we have seen in Syria are appalling scenes of death and suffering because of the use of chemical weapons by the Assad regime, and I don't believe we can let that stand." Foreign Minister William Hague lied claiming failure to act harms Britain's security. He didn't explain how. Deputy Prime Minister Nick Clegg said "idly (standing by) set(s) a very dangerous precedent indeed." Senior Tories hope Labor MPs will back Cameron. Parliament will vote later this week. It won't matter. Obama decided. So did Cameron. France is on board. So is Turkey. According to the Telegraph, "planned intervention is understood to involve a weekend offensive." It may begin Friday. At the same time, Cameron "retain(s) the right to act swiftly without the need to consult Parliament if circumstances required an urgent decision to approve the use of military force sooner." In other words, he already decided to act. Parliamentary debate won't determine policy. Archbishop of Canterbury Justin Welby warned against a "rush to judgment." It could have "unforeseeable ramifications across the whole Arab and Muslim world," he said. "Some of Britain's most senior military figures, including Gen. Sir David Richards, a former chief of the defence staff, and Lord Dannatt, a former head of the Army, warned against taking action," said the Telegraph. "The scale of involvement to make a decisive difference in Syria would be so huge that it is something that we, at the moment, cannot sensibly contemplate." "We have recent experience of that in relation to the declaration of war against Saddam Hussein. Look at the way that turned out." "MPs expressed concern that intervening in Syria could result in a repeat of Britain's involvement in Iraq," added the Telegraph. Labor party leader Edward Miliband remains unconvinced about military action. He'll support it only if it's legal and limited. British sources said Washington plans strikes by Friday or Saturday. They'll last two or three days. On August 28, London's Guardian featured a spurious propaganda piece. It headlined "Israeli intelligence 'intercepted Syrian regime talk about chemical attack.' "
It cites the IDF's 8200 unit. It specializes in electronic surveillance. An unnamed Mossad official claimed Syrian officials discussed using chemical weapons. "The bulk of evidence proving the Assad regime's deployment of chemical weapons - which would provide legal grounds essential to justify any western military action - has been provided by Israeli military intelligence, the German magazine Focus has reported." What's lacking is credibility. According to Mossad-connected DEBKAfile (DF), "Assad may hit back at Israel for US strike, trusting Obama to tie Israel's hands against major reprisal." "At least not in the initial stage," it added. Israeli strategists believe Assad will retaliate against Jordan. "We have no thought of acting against Jordan." He advised Amman not to believe otherwise. He urged it not to sacrifice longstanding friendly relations. He knows it's involved in Washington's war. DF said Saudi Arabia placed its Tabuk air base F-15 squadrons on alert. French Rafale bombers are based there. Obama's limited action may exceed what's planned. According to DF, US and Israeli leaders "are keeping this prospect under their hats to avoid public panic." US official claim "a flood of previously undisclosed intelligence, including satellite images and intercepted communications, erased any last administration doubts that the Syrian regime had used chemical weapons against its own people." John Kerry and Russian Foreign Minister Sergei Lavrov exchanged views. Moscow denies US claims. Lavrov presented Russia's side. "He called for a meaningful and profound exchange of expert information on cases of chemical weapons use in Syria." He won't get what he wants. The die is cast. Obama plans more aggressive war. He's doing it based on lies. It's imminent. It could start any time. The White House prepared Thursday to issue a report accusing Syria's government of waging chemical warfare, but faces a high burden of proof due to the hangover from botched Iraq war intelligence and disquiet in Congress. The report is meant to bolster the case for a probable US military intervention in response to a horrific gas attack in a Damascus suburb last week which killed hundreds of people. The White House has promised the analysis this week, but though there were expectations it could be released Thursday, sources said it was not yet complete. The release of the document will lack fanfare. Officials are expected to brief reporters in a conference call with alongside the release of the hard copy of the report. That is a far cry from the dramatic presentation by then secretary of state Colin Powell in 2003 at the United Nations, when Washington made the case for war with Iraq. President Barack Obama's aides stress they envisage only a "limited" punitive action in Syria and dismiss comparisons with the US invasion of Iraq, which the president built his political career on opposing. But the failure to find weapons of mass destruction in Iraq and the discrediting of what was once deemed a "slam dunk" intelligence case for war are imposing a high burden of proof for the current administration. Veteran national security analyst Anthony Cordesman termed the coming report the "most important single document in a decade" for the US government. He said that the administration "faces the dilemma that it must limit what it says to protect US intelligence sources and methods. "It also, however, faces the reality that the US lost the credibility to argue from authority and on the basis of its reputation more than ten years ago," Cordesman said a Center for Strategic and International Studies briefing paper. Some reports this week suggested that the US assessment would include communications intercepts and other data from inside Syria. But administration sources are downplaying expectations, saying the public analysis will mirror the case already made by Washington, which they consider strong. More detailed evidence may be included in the classified briefing to top US lawmakers due to take place later Thursday. The White House says there is no doubt that an attack took place -- citing appalling footage of dead and wounded victims on television and social media and witness and medical reports. It says only Syrian government forces have access to chemical weapons stocks and the rockets needed to deliver them. "We have concluded that the Syrian government in fact carried these (attacks) out," Obama told PBS television Wednesday. But officials refuse to publicly address the notion that a rogue military officer, or another actor, could have ordered the attack outwith the official Syrian chain of command. "The commander-in-chief of any military is ultimately responsible for decisions made under their leadership ... even if he's not the one that pushes the button or said, 'Go,' on this," said Marie Harf, a State Department spokeswoman. "(Assad) is responsible for the actions of his regime." Signs that the US report will not be able to directly link Assad to the attack with anything other than circumstantial evidence were bolstered by a British intelligence report released on Thursday. The assessment said there was no credible intelligence to suggest opposition forces fired the chemical arms and that there was no "plausible alternative" to the idea that the regime was to blame. It said that permission to use chemical arms had been delegated to a senior commander but presidential authority would be needed to authorize a large-scale change of use. But, possibly due to the need to safeguard sensitive intelligence sources, there was no detailed evidence in the Joint Intelligence Committee assessment directly implicating Assad. While British Prime Minister David Cameron recalled parliament for an uncomfortable debate on Syria, there were no plans for the US Congress, which is in recess, to do likewise. The White House will likely argue that since its proposed action in Syria will be "limited" it does not require Congress to wield its constitutionally granted power to authorize a declaration of war. But the more time that passes before US military action, the more restive the domestic political scene becomes. Republican House Speaker John Boehner has called on Obama to provide "meaningful consultation" with Congress though fell short of calling for authorization from Capitol Hill. A growing number of lawmakers though have concerns and polls show Americans wary of another foreign entanglement. "Since there is no imminent threat to the United States, there is no legal justification for bypassing the Constitutionally-required Congressional authorization," said Jerrold Nadler, a Democratic congressman from New York. Democratic Senator Chris Murphy meanwhile said on MSNBC that cruise missile attacks may make people "feel better, but it may not actually make the Syrian people safer or advance US national security interests." The administration insisted Thursday that President Obama has both the authority and the determination to make his own decision on a military strike against Syria, even as a growing chorus of lawmakers demanded an opportunity to vote on the issue and Britain, the United States’ closest ally, appeared unlikely to participate. Britain’s sudden withdrawal came after Prime Minister David Cameron, deserted by rebels in his own Conservative Party, lost a parliamentary vote for provisional authorization for military action in Syria. Cameron, who had strongly backed Obama’s pledge to ensure that Syria would face “consequences” for its alleged use of chemical weapons, said he would respect Parliament’s will. Many in his government attributed the vote loss to the legacy of British participation in the 2003 U.S. invasion and subsequent occupation of Iraq, based on false claims about weapons of mass destruction. Both privately and publicly, administration officials continued to portray Obama as edging closer to a decision to launch a limited cruise-missile strike on Syrian military targets. As a fifth U.S. warship entered the Mediterranean, Obama’s top national security officials briefed congressional leaders on evidence that they say proves that Syrian President Bashar al-Assad’s government killed hundreds of civilians in an Aug. 21 chemical weapons attack outside Damascus. But as more time has elapsed between the Syrian attack and the much-previewed U.S. retaliation, the window for questions and demands from Congress, international allies and the news media has opened wider. Nearly 200 House members from both parties have signed letters calling on the president to seek formal congressional approval for military action. In a telephone call Thursday with House Speaker John A. Boehner (R-Ohio), Obama “briefed the speaker on the status of deliberations over Syria,” while Boehner “sought answers to concerns . . . including the legal justification for any strike, the policy and precedent such a response would set, and the objectives and strategy for any potential action,” said Boehner press secretary Brendan Buck. “Only the president can answer these questions, and it is clear that further dialogue and consultation with Congress, as well as communication with the American public, will be needed,” Buck said. Senate Majority Leader Harry M. Reid (D-Nev.) has been in regular contact with Obama in recent days, according to Senate aides. The White House has said that it will provide Congress with an additional classified assessment of Assad’s responsibility for what it has called an “undeniable” chemical attack and will publicly release an unclassified version this week. But support for a military strike appeared to be quickly waning. Even in France, where President François Hollande just days ago said Syria should be “punished,” officials called for a delay in any action until United Nations weapons inspectors, who are in Syria, complete their investigation. “Before acting, we need proof,” said Najat Vallaud-Belkacem, a minister and government spokeswoman. 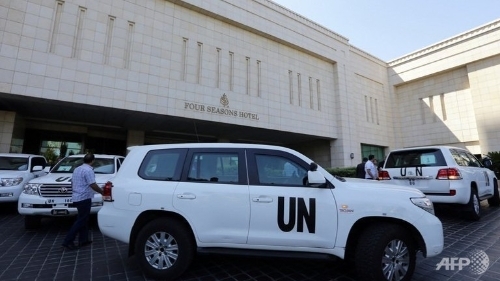 U.N. Secretary General Ban Ki-moon told reporters in Vienna that the investigators will continue their on-site work near Damascus on Friday and leave Syria the next day. Ban said he expects an immediate report from the inspectors, but he has made clear that their mission is only to determine whether a chemical attack occurred, not to assign blame. At the U.N. Security Council, where Russia and China on Wednesday rejected a British-drafted resolution authorizing the use of force against Syria, the five permanent members met again Thursday. But the meeting, called at Russia’s request, lasted less than an hour and didn’t result in any action, according to U.N. officials. State media reported that two Russian warships were traveling to the eastern Mediterranean. Russia, Assad’s principal foreign backer along with Iran, has a naval base in the Syrian port of Tartus, although many personnel have reportedly been evacuated in recent days. Iran’s new president, Hassan Rouhani, said his government would cooperate with Russia to prevent a strike against Syria, which he called an “open violation” of international law. Chinese Foreign Minister Wang Yi called on “all parties to exercise restraint and calm.” Wang said that China opposes the use of chemical weapons but that the United Nations should determine what happened in Syria. Iraq has loomed large in the debate over the wisdom of an attack on Syria and the U.S. right to conduct one. In a now-infamous presentation to the United Nations in February 2003, then-Secretary of State Colin L. Powell offered audio intercepts, photographs and testimony from anonymous witnesses as proof that Hussein was developing chemical, biological and, perhaps, even nuclear weapons — despite evidence to the contrary offered by U.N. investigators. One month later, U.S. troops invaded, backed by a multinational force whose leading contributor was Britain. Within a year, evidence of Iraqi weapons of mass destruction had collapsed. Britain’s ongoing support for the operation, with troops who remained until 2009 and the loss of 179 soldiers, was widely opposed and helped lead to the defeat of the Labor Party and Cameron’s ascension to office. White House and State Department spokesmen Thursday parried repeated questions with assertions that Iraq — Obama opposed the 2003 invasion, calling it a “dumb war” — was different from Syria in every respect. At the same time, Harf said, “we’re not considering analogous responses,” because Obama has repeatedly rejected full-scale U.S. military intervention in Syria. Anne Gearan and Ed O’Keefe in Washington, Anthony Faiola in London and William Wan in Beijing contributed to this report. "We are pleased by the comments by our allies that we have seen," Earnest says. "We're pleased with the strength of international support that exists." Earnest said the US appreciates strong words from senior leaders in the British government about Syria. In an advisory Reuters flags a line from Earnest, the White House spokesman: WHITE HOUSE SAYS WHAT U.S. IS CONTEMPLATING IN TERMS OF ITS SYRIA RESPONSE IS "VERY DISCREET AND LIMITED"
One reason for the US to respond to the use of chemical weapons in Syria is to deter other "dictators" around the world from thinking they can do the same and get away with it, Earnest says. A reporter reads from the AP report on the still-classified DNI assessment that "intelligence officials could not pinpoint the exact locations of Assad's supplies of chemical weapons." Q: Doesn't this raise questions about Assad's role in the 21 August chemical attack? How can we be sure it was him? A: "I'm not in a position to talk about classified intelligence assessments," Earnest says. Then he challenges the quality of the AP sourcing. "You've got a handful of anonymous individuals in that story," he says. "I leave it to you to decide whether you believe that anonymous quotes in an AP story" measure up to the named sources who have looked at the same reports, Earnest says, referring to the president, vice president and foreign heads of state who've said the evidence is strong. The reporter continues to challenge Earnest on his confidence in the US case that Assad was behind the chemical attack of 21 August: "Mid-level people raise their hands and say we're not sure. High-level people say we're absolutely sure." Earnest says the administration will release a public version of the intelligence assessment. He goes on to say that Arab League leaders among others have "all seen this assessment" and they agree that it establishes Assad's culpability. Until now the security council had appeared to be at an impasse given the consistent opposition of both Russia and China to any military action in Syria in retaliation to the regime’s alleged use of chemical weapons on civilians. On Wednesday, the security council failed to reach any consensus on a draft resolution authorizing “necessary measures” on Syria. There is no indication that the three members of the council pressing for military action - the US, UK and France - will move towards a vote which would almost certainly be doomed to fail given the Chinese and Russian powers of veto. Before any such vote would be held, the resolution would be “put into blue” - that is, it would be recirculated in final form with 24 hours notice given to the five delegations. Earnest, the White House spokesman, is asked whether the president believes he does not need a Congressional vote of approval for theuse of military force in Syria. "[Obama believes] it is important for his administration to consult with Congress in a very robust way," Earnest says. He says senior administration officials are consulting with senior legislators. He refers to a planned conference call at 6pm ET between legislators and national security adviser Susan Rice and director of national intelligence James Clapper. Earnest is pressed: What about a vote? Does the president think he needs a congressional vote on this? Earnest's dodge wants to be taken as a 'No': 'The president believes it's very important for this consultation to occur." The US Congress currently is on recess and is to return to session on Monday, 9 September. Inside Syria: three views on US intervention The Guardian's Mona Mahmood (@monamood) has been speaking by phone and Skype with contacts in Damascus and has translated interviews with three Syrians about whether they would support a US-led military intervention. Her interview with an anti-Assad fighter who nevertheless opposes US strikes appeared earlier on the blog. Mona spoke by Skype with Abu Abdullah, a 69-year-old military veteran with two sons currently serving in the Syrian army. He says his sons are forced to continue serving on the threat of death. A father of nine children total, Abu Abdullah told Mona he favors US intervention because "If we can get the help of the devil to get rid of Bashar, we won't hesitate to do so." He lives in the Al-Milihia district of the Damascus suburbs. "If you want the truth, we do not wish that US forces would bombard our country, but the regime is pushing us to that. I'm a 69-year-old retired military man, and do not wish that Syria would lose a single tank or a military site that we have paid for, from the resources of the Syrian people. "Our life is so execrable, for a year now, I could not go out because of the endless checkpoints along the way. I can't get my pension from the centre of the city, a friend would receive it and send it to me. "We are taking no preparations for the war whatsoever, cause basically we have nothing. We are living on basics that we can get within our district. We have some vegetables and some wheat that we are grinding to make some bread. "What shall we stockpiling for the war? Wheat? there is no wheat. Gas? there is no gas. Water? there is no water. We are digging the ground to make wells for drinking and washing. "We want to get rid of this regime by any means as soon as possible. If the US forces are coming to help us, they are most welcome. We hope the British and the Americans help us for the sake of humanity, to stop blood shedding and the killing of the Innocent. Lots of people are killed out of random shooting not because they are against the regime or the rebels. "I have two sons serving in the army for more than two years but still are not released. The regime is telling them either you keep serving us or you will be killed. "My pension is only 12,000 Syrian Lire and the dollar is 240 Syrian Lire and you can imagine. A bottle of food oil costs 1000 Syrian Lire. You can't even make potato fries with some Za'ater. We are hardly surviving and I can assure you that there are families are starving. I have a pension but there are many people do not have any income and lost their jobs because of the events." White House spokesman Josh Earnest is holding the daily briefing. He's asked, given the lack of clarity over where Britain stands, whether the United States would "go it alone" in Syria. "I don't want to presuppose what kind of judgment the president reaches," Earnest says. "However the president did acknowledge the role that international law would play... that would be a factor. "It is relevant that a wide range of international leaders and international bodies have weighed in on this," Earnest says. US investigators looking into the 21 August chemical attack are examining evidence to link the attack not only to the Assad regime but to president Bashar Assad personally. In secret intelligence assessments and a still-unreleased report summarizing U.S. intelligence on the alleged gas attack on August 21, U.S. agencies express high confidence that Syrian government forces carried out the attack, and that Assad's government therefore bears responsibility, the officials said. "This was not a rogue operation," one U.S. official said. However the evidence does not prove that Assad himself ordered that chemical munitions be used, according to the officials, who spoke on condition of anonymity. US officials have said evidence against Assad includes records of "panicked" telephone calls between the Syrian defense ministry and a field commander after the 21 August chemical attack. Denmark has voiced support for a military strike against Syria even without UN security council approval. "Denmark is ready to consider alternative options" to the UN, prime minister Helle Thorning-Schmidt said, according to the AP. But Denmark had not been asked to make any military contribution, he said. In recent years, Denmark has backed military actions in Iraq, Afghanistan, Libya and Mali, and has even contributed troops and military hardware, the AP reports. In Germany, meanwhile, a poll by ZDF television found that a "majority of Germans oppose Western military intervention in Syria and don't want their country to provide backing for any U.S.-led strike," the AP reports. "This rhymes with what happened over Iraq WMD," said Thielmann, one of the few voices of caution inside the US intelligence agencies when compiling the infamously erroneous 2002 National Intelligence Estimate on Iraq. Thielmann said that post-Iraq intelligence reforms give him confidence that the spy agencies are not overstating their cases, and expressed confidence that Barack Obama would only go to war as a last resort. But he raised questions about the seeming vagueness in the intelligence. "I would have thought there would be incentives inside the intelligence community to find out what’s going on that the US would have gotten some samples and established a chain of custody," he said. "If the CIA and others can’t get into [rebel-held territory] to collect samples, we sure are wasting a lot of money." If reasonable doubts persist about the intelligence after any strike on Syria, Thielmann believes it will have a "devastating effect" on US credibility. "We're still suffering today for what happened from Iraq WMD," Thielmann said. "That's the reason why it's very important to take more days and let the UN gather evidence and reach their conclusions. There’s no reason to rush this." The problem facing White House is three-fold. First, its intelligence assessment, pinning culpability for the chemical weapons attack on Assad, may not be as watertight as many had been expecting. Second, and partly as a result of that, cracks are appearing in Congress, which is fully aware there is minimal support among the US electorate for strikes. Third and perhaps most interestingly is the lack of international support. Doug Bandow, senior fellow at the Cato Institute, tells me “caution has grown” in the US administration, which he now expects to delay or even pull back from military action. He said strikes were still a very real possibility, not least because of the build-up, and the strength of remarks from John Kerry on Monday. Any backing down now would be interpreted as weakness and be deeply embarrassing for the US. Ken Pollack, an expert in Middle Eastern affairs at the Brookings think-tank, said Britain's [potential] failure to support strikes on Syria could prove decisive for the White House – which will want to build a strong, moral, case based on broad international agreement. He described the UK as a "bellwether" country; if it backs out, that could lead other countries to revise the strength of their commitment. Most of the experts I've spoken to today believe the US is still likely to forge ahead with limited strikes against Syria. But the speed at which they were moving toward that position may have been significantly reduced. Inside Syria: three views on US intervention The Guardian's Mona Mahmood (@monamood) has been speaking by phone and Skype with contacts in Damascus and has translated interviews with three Syrians about whether they would support a US-led military intervention. All three interviewees oppose the Assad regime but are reluctant to embrace a US entry into (or an expansion of the US role in) the conflict. One interviewee, a jihadi fighter from Homs, outright opposes US strikes, believing the real target of US missiles would be opposition fighters – and not the Assad regime. Part of Mona's interview with the fighter, who calls himself Abu Rami, is below. Later in the blog we'll feature two others she spoke with: a retired soldier with two sons currently serving – under threat of death, he says – in the Syrian army, who reluctantly favors US intervention "to get rid of Bashar"; and a mother of five in the Damascus suburbs who lives on charity, lacks medicine and food and sees the US intervention as a way to "stop the machine of death." "I joined Ahrar Alsham Islamic brigade soon after the breakout of the revolution in Syria. I was working as a labourer in Beirut but decided to leave everything behind and headed back to my hometown in Homs to do jihad for the sake of God. "We as Islamic Jihadi brigades in Syria are against any US intervention in Syria. We are absolutely confident that victory is by God, not by US. The US administration has been protecting the regime all the time and won't stop supporting it. This regime has protected Israel's borders over 40 years. The US won't topple this regime at all. We are so confident of this fact. "If the US administration really want to help the Syrian people, they should supply Mujahdien with weapons and definitely we will win over the regime. For more than three years now, we have been asking for weapons, but [there's been] no response at all because the US is so keen to keep the regime in place and Bashar as a president. "Bashar is a safeguard for their interests in the region, how can they get rid of him?! If the US administration is really serious and will strike Syria, the strike will be in support of the regime but against Islamic Mujahdien like Jabhat AlNusra, Iraq and AlSham Islamic state / AlQaeda/ and their bases and fighters. "We do not accept the US intervention but if they it happens, we know what to do." "If any action would be taken against Syria, it would be an international collaboration," US defense secretary Chuch Hagel said Thursday, according to the Associated Press. Guardian Paris correspondent Angelique Chrisafis filed a report today on how France appears to be gearing up for military action, and reporters in Cyprus have observed an uptick in activity at Britain's Akrotiri air base. Meanwhile the AFP reports that the US is sending a fifth warship to the east Mediterranean, where Russian warships also have been sailing for months. Armed submarines are presumed to be in the area. 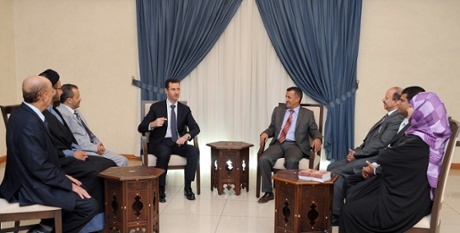 A picture from Assad's meeting with the Yemeni delegation, after which state TV quoted him as saying "Syria will defend itself in the face of any aggression." Intelligence officials say they could not pinpoint the exact locations of Assad's supplies of chemical weapons, and Assad could have moved them in recent days as U.S. rhetoric builds. That lack of certainty means a possible series of U.S. cruise missile strikes aimed at crippling Assad's military infrastructure could hit newly hidden supplies of chemical weapons, accidentally triggering a deadly chemical attack. The most toxic of the chemical weapons, nerve agents affect the nervous system and are hazardous in their liquid and gas states. They can be delivered in missiles, bombs, rockets, artillery shells and other large munitions. Germany developed the first nerve agents before and during World War II, although the Nazis did not use them during the war. The only time nerve agents are believed to have been used on the battlefield was in the 1980s Iraq-Iran war. One of the best-known chemical weapons, mustard gas is a blister agent that attacks the eyes and skin, causing severe blisters. If inhaled, it can also damage the lungs and other organs. The gas does not cause immediate symptoms, which means those exposed to it can unknowingly take high dosages. While not usually lethal, exposure to mustard gas is generally debilitating. Mustard gas was first used by the German army in World War I against British forces. Saddam Hussein was accused of using the gas in Iraq's war with Iran, as well as in his 1987-1988 crackdown on the country's Kurdish minority. The most notorious case was on the village of Halabja, which killed some 5,000 people in the deadliest chemical weapons attack ever against civilians. U.S. Secretary of State John Kerry and Secretary of Defense Chuck Hagel are among senior U.S. officials who will brief members of Congress on Thursday about the situation in Syria, a congressional aide told Reuters. President Barack Obama's National Security Adviser Susan Rice and Director of National Intelligence James Clapper will also participate in the briefing to be held in conference call at 6 p.m. EDT (2200 GMT), according to the aide, who had been informed of the briefing lineup by the White House. The White House has made no move to hold a congressional vote on military action in Syria. Legislative leaders such as House speaker John Boehner and John McCain in the Senate are urging the president to consult with Congress. We'll see whether they're satisfied with these Hill briefings. This is Tom McCarthy in New York taking the blog from my colleagues in London. Syria • Ban Ki-moon has said the UN weapons inspectors investigating last week's suspected chemical weapons attack will leave Syria on Saturday, one day ahead of schedule. The announcement deepened anticipation over imminent air strikes. Under an agreement with the Syrian government, the UN team had until the end of Sunday to complete their investigation. • The UK prime minister, David Cameron, has been setting out the case for future military action in Syria. He admitted "there is no 100% certainty about who is responsible" for last week's chemical weapons attack and told MPs there is not "one smoking piece of intelligence" but they must insisted he was convinced by the evidence that Bashar Assad's regime was responsible and told MPs they must exercise their judgement. Putting forward an amendment to the government motion, opposition leader Ed Miliband said more evidence was needed. • A letter from the UK's joint intelligence committee published today said that it was "highly likely" the Syrian government carried out last week's chemical weapons attack in the Damascus suburbs but that it could not explain the motivation for it. A government briefing about the legal position was also published, which stated that the UK could still take action without a resolution by the UN security council, provided three conditions were met. • The intelligence linking President Assad or his inner circle to an alleged chemical weapons attack that killed at least 100 people is no "slam dunk," with questions remaining about who actually controls some of Syria's chemical weapons stores and doubts about whether Assad himself ordered the strike, US intelligence officials have told AP. Multiple US officials used the phrase "not a slam dunk" to describe the intelligence picture — a reference to then-CIA Director George Tenet's insistence in 2002 that US intelligence showing Iraq had weapons of mass destruction was a "slam dunk" — intelligence that turned out to be wrong. • The Iranian president, Hassan Rouhani, has said Iran will apply all efforts to prevent military action against the Tehran-backed regime of Syrian President Bashar al-Assad. Rouhani was quoted as saying "military action will have a big amount of costs for the region" and "it is necessary to apply all efforts to prevent it." According to the report, he said both Iran and Russia would work to prevent any military action against Syria and called such action an "open violation" of international laws. While condemning chemical weapons, Rouhani was quoted as saying "early judgment can be dangerous, before clarification" of allegations that Syria used such weapons. • Humanitarian organisations have warned about the consequences of escalating the conflict in Syria. The International Committee of the Red Cross said that it would will likely trigger more displacement and add to humanitarian needs", which it said were already at unprecedented levels. Russia has announced plans for deploying an anti-submarine ship and a missile cruiser to the Mediterranean, amid the escalating war rhetoric against Syria. 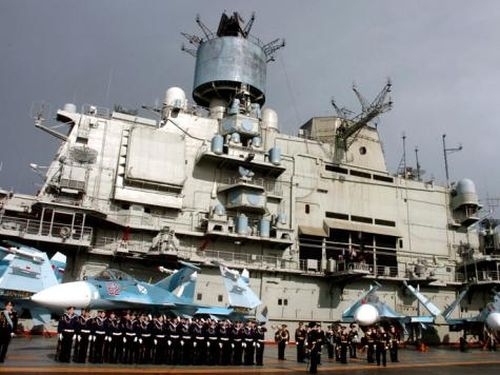 "The well-known situation shaping up in the eastern Mediterranean called for certain corrections to the make-up of the naval forces," an unnamed source in the Russian General Staff was quoted by Russian news agency Interfax as saying on Thursday. "A large anti-submarine ship of the Northern Fleet will join them (the existing naval forces) over the next few days. Later it will be joined by... a rocket cruiser of the Black Sea Fleet," the source added. Moscow is strongly opposed to any military strike on Syria, with Russian Foreign Minister Sergei Lavrov believing the move will critically destabilize the region. Earlier in the day, the Russian Foreign Ministry quoted Deputy Foreign Minister Gennady Gatilov as saying that "Declared plans by some states to inflict a military strike on Syria are an undisguised challenge to the key provisions of the UN Charter and other norms of international law." The war rhetoric against Syria gained momentum after the militants operating inside the country and the foreign-backed Syrian opposition claimed on August 21 that hundreds had been killed in a government chemical attack on militant strongholds in the Damascus suburbs of Ain Tarma, Zamalka and Jobar. Since August 27, speculations became stronger about the possibility of a military attack on Syria. Media outlets reported US plans for likely surgical attacks, which would be in the form of "cruise-missile strikes," and "could rely on four US destroyers in the Mediterranean [Sea]." The plan was said to be awaiting US President Barack Obama's go-ahead. Iran, Russia and China, among other countries, have warned against foreign military intervention in Syria. The U.S. Secretary of State John Kerry on this August 26 removed the sword of the alleged Syrian chemical weapons from its sheath and let the snow ball of this subterfuge for a military aggression on Syria roll unchecked, raising the stakes from asking whether "it will happen" to "when" it will happen, promising that President Barak Obama "will be making an informed decision about how" to take on Syria and warning not to make a "mistake" because Obama "believes there must be accountability," making clear that a U.S. – led military action is in the making and imminent. A 20 – member UN independent commission of inquiry, headed by UN High Representative for Disarmament Affairs, Angela Kane, and led by the Swedish scientist and the veteran "inspector" for the UNSCOM and UNMOVIC inspection regimes in Iraq, Ake Sellstrom, arrived in Damascus on August 24 for a fourteen - day mission to investigate whether or not chemical weapons were used in Syria. The fact that this UN mission is in Syria in response to an official request sent by the Syrian government to the UN Security Council on March 19, 2013 to investigate the first chemical attack, which was launched then from the positions of the U.S. – sponsored armed gangs fighting the Syrian regime on the government – held northern town of Khan al_A'ssal, as well as the fact that the U.S. for five months opposed such an investigation unless the UN adopts it as an "inspection" mission all over Syria, are self – evident enough facts to leave no doubt about the real intentions of the United States. 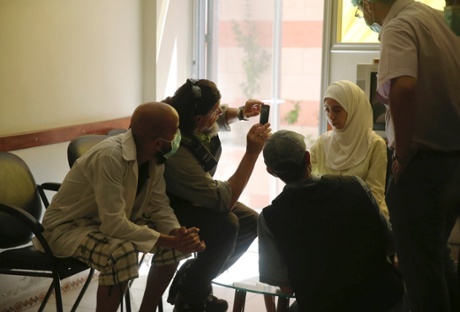 The timing of the reported chemical attack in the eastern suburbs of the Syrian capital on August 21 coincided first with the arrival of the UN investigators in Damascus and second with launching what the Syrian Arab Army (SAA) codenamed the "Reinforcement of the Shield of the Capital" (RSC) military operation to root out the armed gangs operating in the same area, consisting of al-Qaeda – linked Islamists, but mainly of the Jabhat al-Nusra, which the U.S. listed as a terrorist organization last December. When the 18th Chairman of the U.S. Joint Chiefs of Staff, General Martin E. Dempsey, before the reportedly chemical attack last week, admitted that the Syrian army was "gaining momentum," he did not "think it'll be sustainable," not because he was drawing on the facts on the ground, but most likely because he was privy to what was in store with his co- decision makers in Washington. Maintaining a "balance of power" on the ground is a U.S. precondition to engage in and allow negotiations to solve the Syrian conflict peacefully. The U.S. cannot co – host with Russia the repeatedly postponed Geneva – 2 peace conference on Syria unless the military status quo on the ground is deprived of the gains won by the SAA. Therefore, the U.S. is impatient to give "enough time" to the UN investigators to finish their mission with conclusive or inconclusive evidence, as requested by the UN Secretary General Ban Ki - moon on Wednesday. The UN envoy for Syria, al-Akhdar al-Ibrahimi, on the same day said that the military solution of the conflict is "impossible," but his appeal for a peaceful solution fell on deaf ears in Washington, where plans are being worked out by leaps and bounds for an imminent military strike. Such a strike would only exacerbate the conflict, which al-Ibrahimi on August 23 said it "is undoubtedly today the biggest threat to peace and security in the world." Time will tell however, some say within days, but if it takes place it will be an insult to the United Nations and the world community that will further hurt the international credibility of the United States, which is now pressured into military action as a "face saving move" presumably to save the credibility of its leader who has drawn publicly a "red line" on the use of chemical weapons in Syria at least five times during the last year. 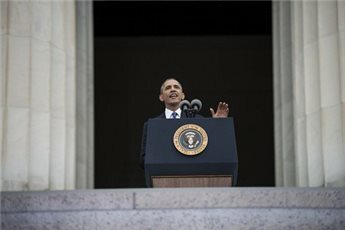 Obama, the former professor of constitutional law, who as recently as August 22 warned in a CNN interview that "we have to take into account considerations" like a "U.N. mandate" supported by "international law" and "clear evidence," seems ready now to strike without any respect to the three factors, which they only can give legitimacy to any U.S. – led strike against Syria. The UN mandate and legitimacy cannot be provided by a decision taken by the NATO, which is led by the U.S. A selective "responsibility to protect" pretext for a unilateral U.S. - led intervention militarily cannot replace the UN charter and international law. A fig leaf political approval of an attack on Syria from the Arab League, which is now no more than a U.S. rubber stamp, cannot provide Obama with any credible "Arab" justification for a war on Syria; similar approvals in Libya and Iraq were counterproductive examples. Obama cannot draw on artificial legitimacy to justify what will be no more than a flagrant violation of international law and UN charter to cover up what will be merely a bare – to- all - to - see aggression. According to the Los Angeles Times on Tuesday, Rep. Scott Rigell (R-Va.) has collected nearly three dozen signatures of House members to a letter he intended to send to the White House to remind the president that military action without a congressional vote "would violate the separation of powers that is clearly delineated in the Constitution." Obama told CNN: "Sometimes what we've seen is that folks will call for immediate action, jumping into stuff that does not turn out well, gets us mired in very difficult situations." Writing in the Los Angeles Times on August 27, Kathleen Hennessey, Michael A. Memoli and Christi Parsons said that the poison gas attack in the suburbs of the Syrian capital on August 21 was "testing" Obama's views "as no previous crisis has done;" unfortunately Kerry announced Monday that the U.S. president has failed this test. However, Kerry's statement in his news conference in Washington Monday, which was described by mainstream media as "emotional" and "highly charged," sounded like an official declaration that Obama had done with whatever "considerations" might prevent him from taking a decision to strike, even if he risks to get "mired in" exactly the "very difficult situations" he has been trying to avoid. It was a declaration that Obama has at last given in to the warmongers who have been leading a media blitz that has been beating the drums of war on Syria for two and a half years now; Kerry only added "chemical fuel" to it. On the one hand, Kerry's statement was emotionally highly charged with the intention of defusing a mounting pressure for action that was exacerbated with the reported chemical attack in the suburbs of Damascus. Several recent polls showed that the majority of Americans oppose U.S. involvement in the Syrian conflict, let alone militarily. In this week's Reuters/Ipsos survey, only 25 percent of Americans said they would support U.S. intervention if Syrian President Bashar al-Assad's forces used chemicals to attack civilians, while 46 percent would oppose it. About 60 percent of Americans surveyed said the United States should not intervene in Syria's civil war, while just 9 percent thought Obama should act. A Pew Research Center poll taken June 12-16 found 70 percent of Americans opposed Obama's decision to provide arms to Syrian rebels in response to smaller-scale chemical weapons attacks there; 68 percent said the U.S. military is "too over-committed" to get involved in the Syrian conflict. If Kerry's intention was to mount pressure on Syria, the country's foreign minister Walid al-Muallem on Tuesday declared Syria will not yield to "blackmail" and its only option is to defend itself with whatever means are available, some of which will be a "surprise," he said. However, Kerry's statement sounded not a message to Syria per se as much as it was a message to American, European and Arab warmongers, who ever since the Syrian crisis erupted have been lobbying his administration to take action against Syria long before the first chemical attack was launched from the positions of the U.S. – sponsored armed gangs on Khan al_A'ssal five months ago. In view of the Syrian government's confirmation of the use of chemical weapons, Kerry's statement on Monday that it "is real, that chemical weapons were used in Syria," and the confirmation of their use by the Syrian so called "opposition" and its western and Arab sponsors, their use is already a forgone conclusion. Kerry quoted Ban Ki - moon as saying last week that "the U.N. investigation will not determine who used these chemical weapons, only whether such weapons were used." If the investigators' mandate is only to confirm what is already "is undeniable," in Kerry's words, why were the UN investigators stripped of the mandate of determining "who" used the chemical weapons in Syria, if not to leave it up to the U.S. & partners to decide in advance as a prejudged conclusion that "There's no doubt who is responsible: The Syrian regime," according to Vice President Joe Biden on Wednesday, to be consistent with their plans for a regime change in Damascus, and let the truth go to hell.